Hi everyone I have 97 to 05 vtr1000f superhawk parts for sale pm me or comment on this post. 5. Radiators $90 plus shipping. 6.used wire harness $40 + shipping sold there are more stuff to go through just PM me or comment on this post I will let you know if I have that part or not. Do you have any undamaged fairings? sorry no I don't. Is there anything else you were looking for? Which wheel, what's it's color and condition (including bearings)and how much without disc(s) and tire; and if it is the rear, with or without sprocket drive hub and damper blocks (and condition)? Can you post photos and what year is the wiring harness? 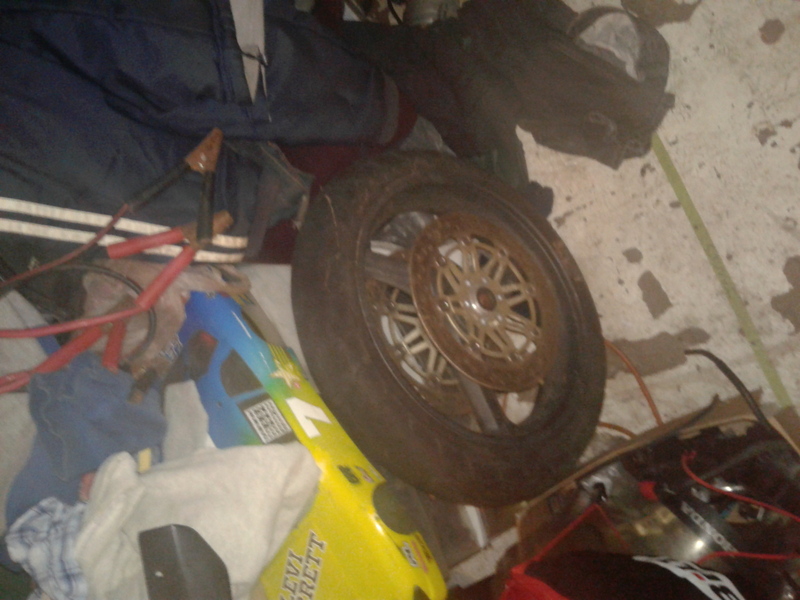 sorry the wire harness is sold and the wheel is the front one and sorry but it is being sold as is. What sort of gas tank cover is it ? Can you post a pic ? OK, what about some decent photos of it and what is shipping to 60077? what is a gas tank cover for a vtr? yes it is pm me on here. 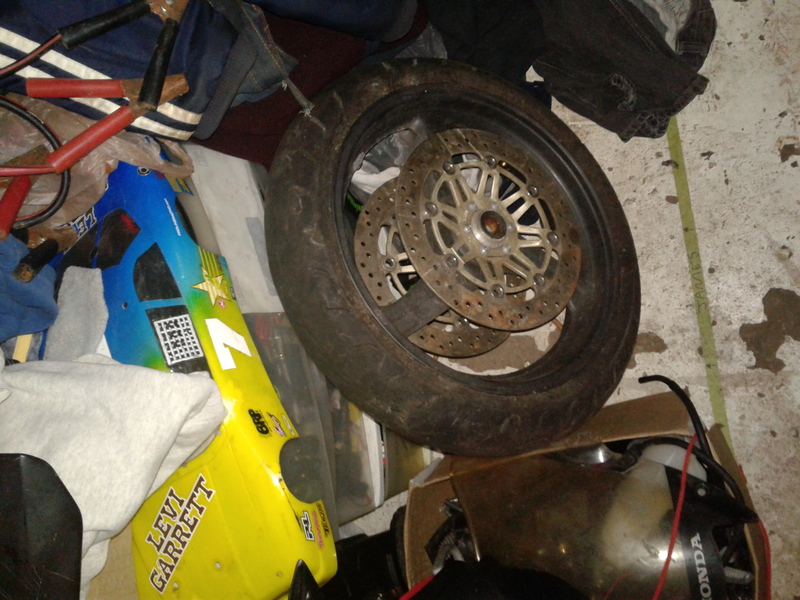 The link provided is a picture of a front wheel and a few assorted parts. Can't see a gas tank cover in this picture. Can yo post a picture of the tank cover? Sorry I don't know how to post pics to get any pics text me here 904-803-9137. Last edited by Jcj; 03-17-2017 at 03:00 AM. 1. Post a price. Say if shipping is extra or included in price. You may add an OBO to your asking price indicating you are open to an offer of LESS than the asking price..but OBO is not here to create a highest bidder auction. 2: Post your location, and any buyer locations your not willing to ship to. 3: Post at least one clear picture of the part, assembly, or bike being offered for sale. More is better to a point... if you have many high quality shots, consider posting just one or two directly, and linking to the others. That keeps page load times down. 4. Sale order will be determined by replies to threads, NOT PM's. No email addys or Paypal addys are to be posted. 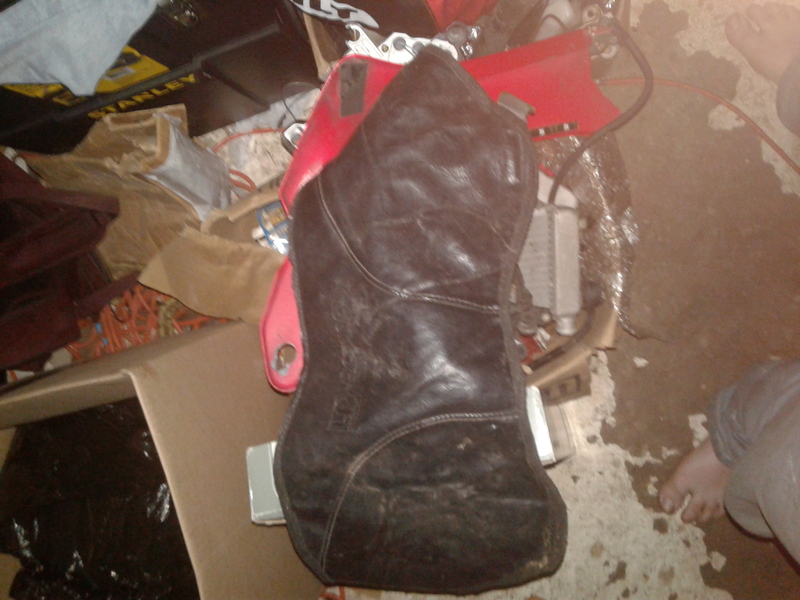 The seller is responsible to sell the item to the first responder if the deal works out. If not then it will go to the next person who posts to the thread, and so on. We ask it to work this way so there are fewer hard feelings and issues with sellers and buyers. 5. eBay links may be posted, however the seller must post a price here and be willing to end the eBay auction early for Superhawkforum.com members. 6. Failure to follow the above rules may result in the post being removed and/or loss of privileges to use the Classified forum. SELLERS: please update the thread when items are sold. Leave the price you sold it for so others can judge the going rate for stuff. Just add a final post to the thread to say "SOLD" and we will close the thread. If you fail to do this you run the risk of some guy asking if it's still for sale 4 months down the road. Been chasing a tank cover for ages, would love to see a picture. Is it a Bagster/ Baglux cover or a tank bra? wondering if the gas tank is available and what condition it's in? Sorry there is no gas tank at this time. WTB- Parts for parking lot tip over! Is 42,000 miles a lot? Yellow 2000 SuperHawk with 15k Miles For Sale!